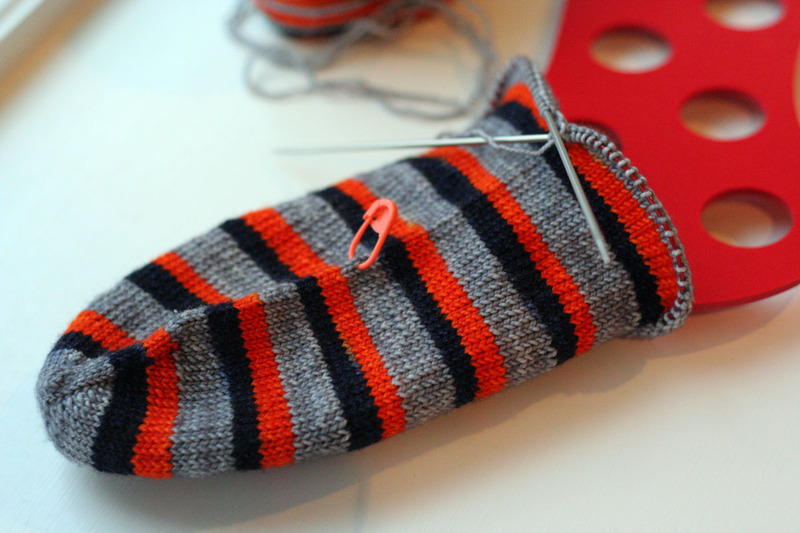 Knit 6 pairs of Mystery KAL socks – I’m on schedule and finished the second sock at 5 PM yesterday – just in the knick of time. I’ll do a proper FO post but I did want to show you I’m really done. 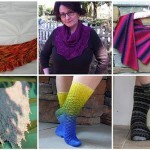 Knit 3 things from stash for the Stash Down KAL – Done! I finished my Wood Hollow mittens and handspun socks this month and my Weigh It Shawl last month. 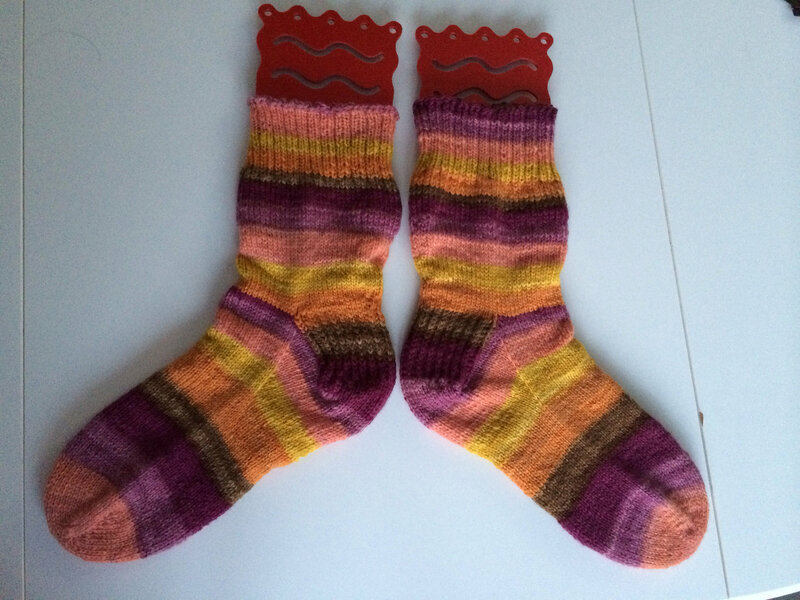 Finish Paul’s Chicago Bears socks – I meant to work on my handspun socks while in Vegas but brought the wrong needle size so I had no choice but to work on the Chicago Bears socks a bit more. I’m just to the gussets. Finish Paul’s Pismo hat – he loved his last one and he deserves a new one. I guess I’m not too terrible of a wife because the whole hat is k1tbl, p1 ribbing. Still no progress on this one. Finish Raspberry Tart – I’m less than a full sleeve away. Same here – nothing to report. 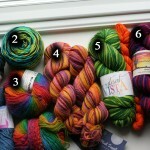 Add other colors to my knitting – yellow and maybe some blue or green. 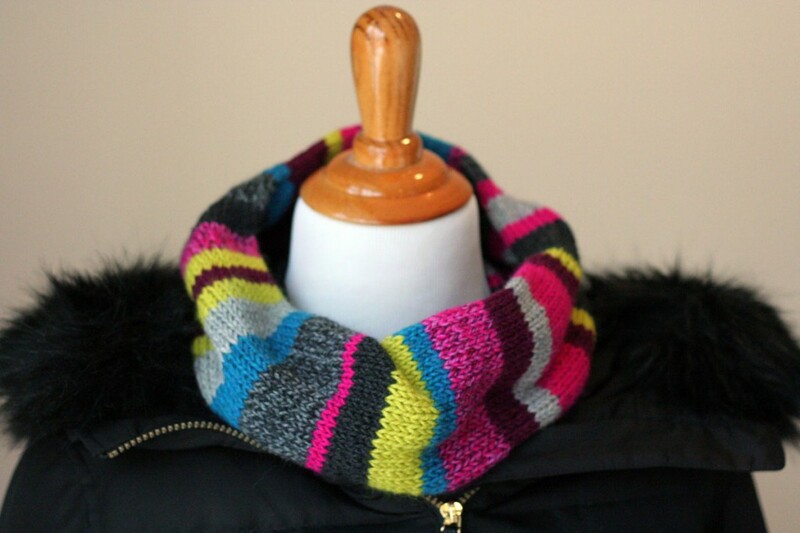 I’m so happy that I made the Lucy Cowl and now I keep thinking of new color combos to add to my wardrobe. I love it when one part of my life helps improve another. Post twice a week for the next 3 months – I’m still at once a week but not giving up on this one. Post more recipes and nutrition info – Posting recipes is a lot of work – photography and often several meals before it’s just right. I’ll post as soon as I have something worth posting. Make 20 comments per week on other blogs – Still need to get better at this, but I have started Instagram and like and comment on that a lot too. And ps – you can often get sneak peeks at what I’m working on via my Instagram feed. supermarket runs can add 1-2,000 steps! Eat Well – I’m still enjoying lots of desserts and need to get back on track. Lose 8 pounds – I gained 2 pounds this month. I’m clearly not happy about this but interestingly, it WASN’T my trip to Vegas. I was down 1 pound after returning from Vegas and I think I know why (thanks to my new BFF the FitBit). I walked a TON in Vegas – and even hit my highest number yet – 11,000 steps. This tells me I need to find better ways of staying more active in the winter months. Check in each month – assess, acknowledge and adjust. Doing it right now. Make an editorial calendar – I haven’t made a formal calendar but I have been working on plans for posts, interviews and reviews. 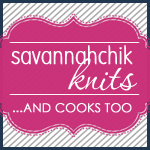 So, for February I think I did pretty well on the knitting front – 3 FOs – and split on the personal goals – yay for the FitBit, boo for the eating and weight management. 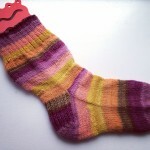 Make Sock #1 for the March Mystery KAL. 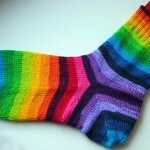 Sock FOs are so addictive! Lose 2 pounds – I hope the weather starts to improve so I can get out and get moving. And I’m going to need to do more housewalking if not. 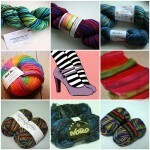 I was tempted to put another FO on the list for this month but I’m not sure I can do it with all my personal commitments. I love your monthly journal! Mine also helps me to be more organized and focused. Glad to see you are using that fitbit. I got a fitbit in January last year and have lost nearly 30 pounds. It broke a couple of months ago and I only lasted three days before replacing it. I am positive that it helps as it lets you know when you are not moving or when you are. Keeps me honest about the exercise I have (or have not!) done. I will never go back to not having one!